Visit this "Save LaGrange" Facebook page for continuing photographic coverage of the renovation process. August 2012 - We are seeing activity at LaGrange, the grass has been cut, and we hope to hear about new plans for the building. Check back here occasionally. November 2010 - We are sad to see LaGrange closing down again. The West Islip Chamber of Commerce held an open meeting in the LaGrange building on March 13, 2008. The attorney representing the Walgreens proposal and members of the design team spoke to a crowd that voiced strong objections and asked many questions. This blog gives community members a chance to comment on the plans. 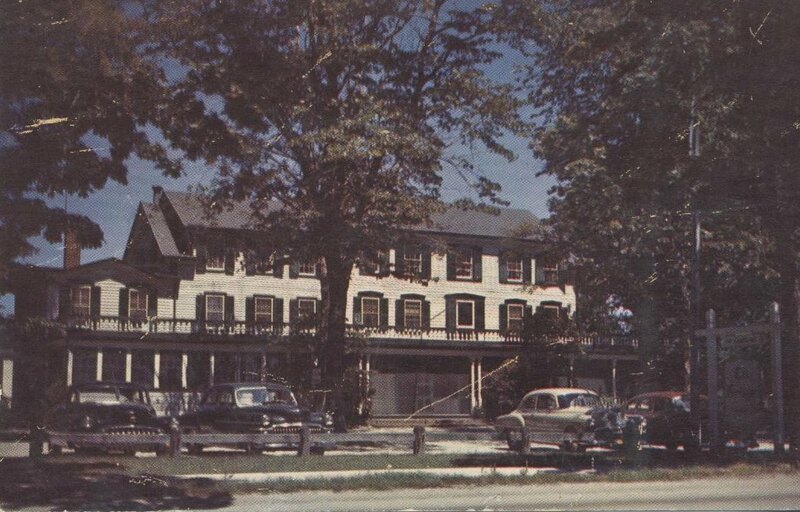 Clinton Higbie describes the early Hotel LaGrange in his book of family history. 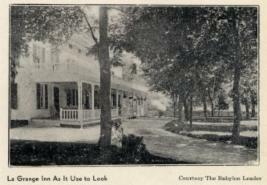 Read Gerald Wilcox's article about the early LaGrange Inn and the Higbie family that built it. 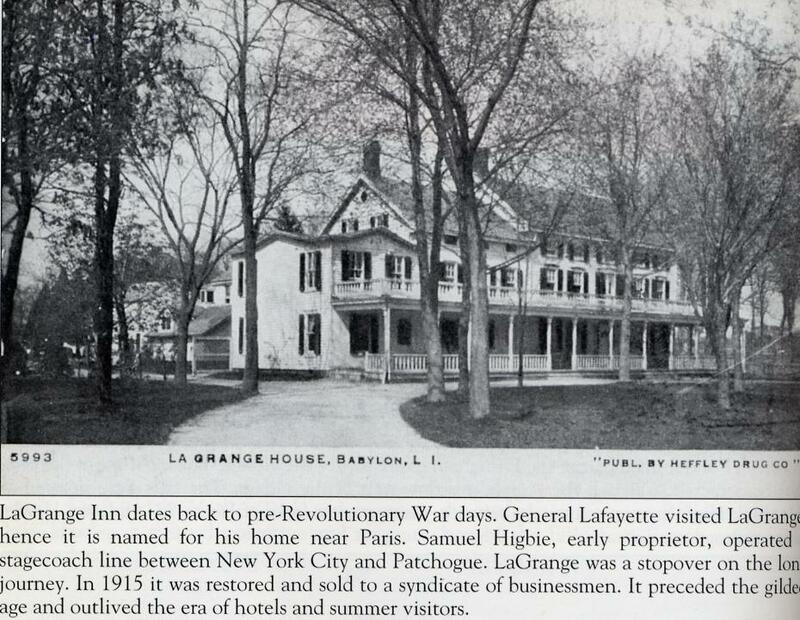 In this article from a few years ago, we read that LaGrange was apparently licensed as early as 1750. 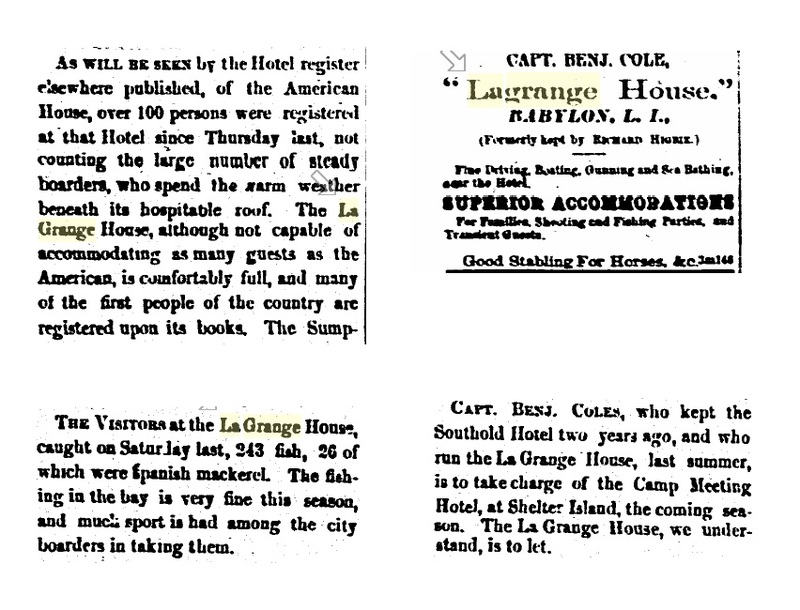 These newspaper excerpts from 1872 and 1874 indicate that a Capt Benjamin Cole was in charge for a short time, and it was called LaGrange House. 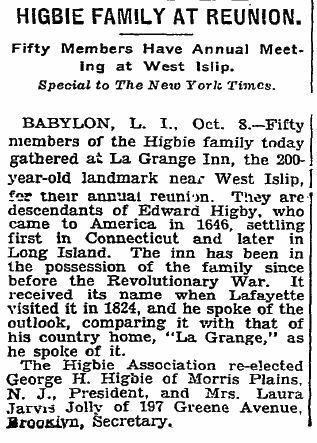 This 1927 article refers to a Higbie family reunion held at Lagrange. Apparently the hotel was also sometimes used as a permanent residence, as this 1928 article mentions. 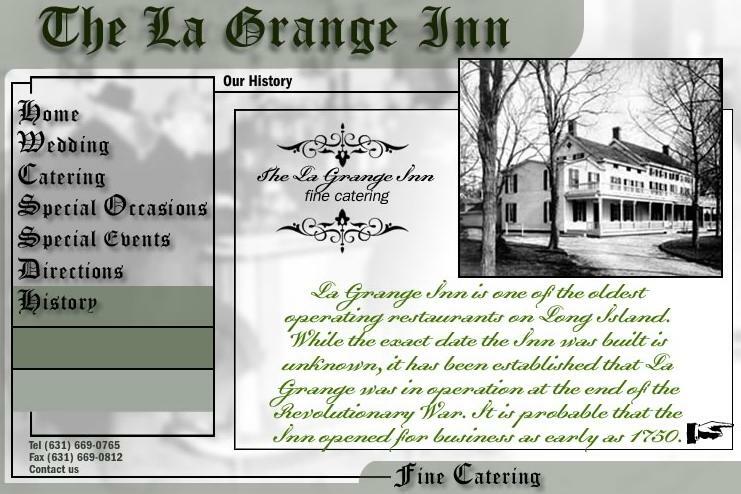 Uwe Paulssen owned LaGrange Inn from 1968 till 2001. Do you have old photos of this historic building? Here's a postcard from the 1940s. This sketch by George Weeks appeared in a 1953 newspaper. Here is one of the advertisements that used to appear on the Internet referring to the long history of the building. The next three photos look older, maybe from the 1920s? 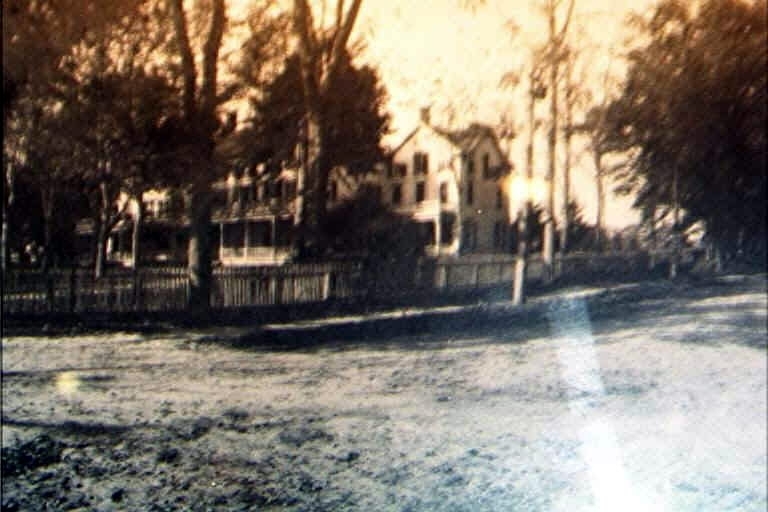 This one is a copy of an undated photo that used to hang in the lobby of the Inn, called "Original Homestead." It seems to be from the same time period as this one - note the similar picket fencing along the east side. 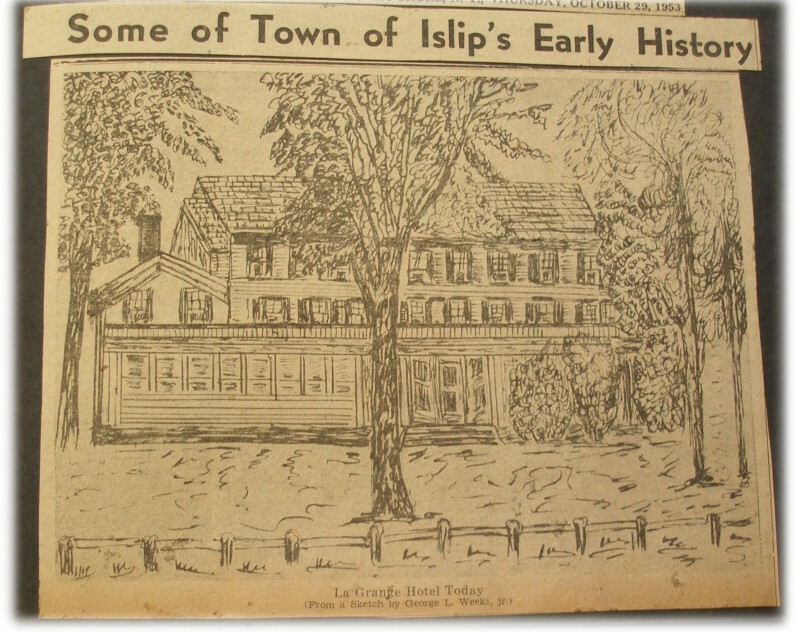 (Found in a 1940 issue of the Long Island Forum magazine). Can anyone identify the buildings behind the main building in this old photo? 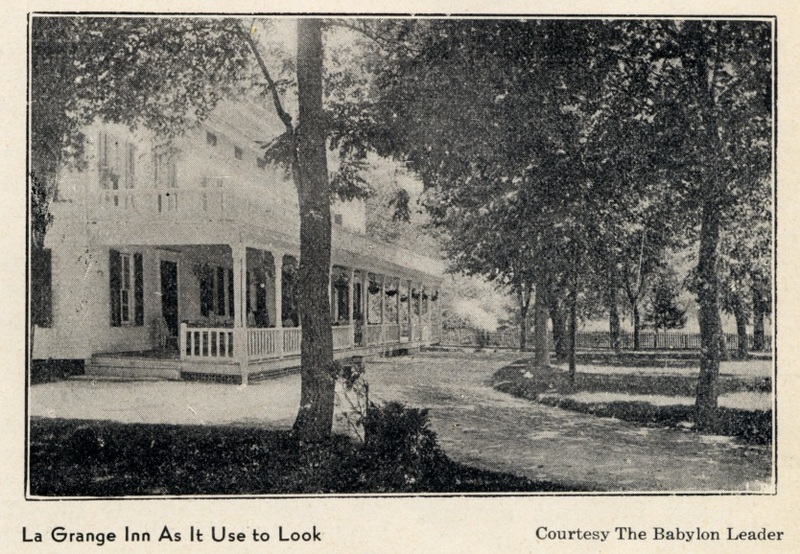 There is no parking lot yet, so it may be from early 1900s or before. Showing another view from the same time period, this photo was donated June 2008. In this overhead view, we can see the original 2 and 3-story structure, surrounded by the wings that have been added through the years.